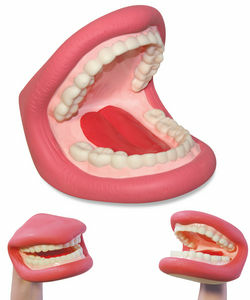 Giant 5" diameter soft pliable human mouth that is highly realistic in every detail. Hilarious puppet movements can be achieved easily as this item has an opening in the back to place your hand. Recommended for ages 5 & UP.